I'm continuing articulation week here on SpeechTechie, but again, I have to disclose more specifically that I have not worked with an articulation client in two years; my private practice work has been confined to language and social communication. However, since I am getting back in the game for the next school year, I am sure I will be having more to say about artic! The goal of this week is just to point out some resources I find interesting. One great thing about articulation therapy is that, when it goes well, you can see quick progress relative to the growth one sees with language therapies. However, we school-based clinicians would always like to see even quicker progress so we have more time to support needier students. Speech Buddies by Articulate Technologies are a recent innovation born of SLP Gordy Rogers’ observation that while other disciplines were using technologies designed to best serve their patients, SLPs continued to scramble to gather old-skool materials like tongue depressors, peanut butter and straws to facilitate correct articulation (I hear that!). In partnership with a friend, an engineer specializing in medical technologies, Rogers developed Speech Buddies, a set of handheld devices that provide targets inside the mouth to facilitate production of the most commonly misarticulated sounds during actual speech: /s/, /r/, /sh/, /ch/ and /l/. About a year ago, I had the opportunity to observe an SLP-A working with a client and parent using the Speech Buddy for /s/. The device did indeed help the client produce the sound within words and sentences; these are not devices for NSOME. 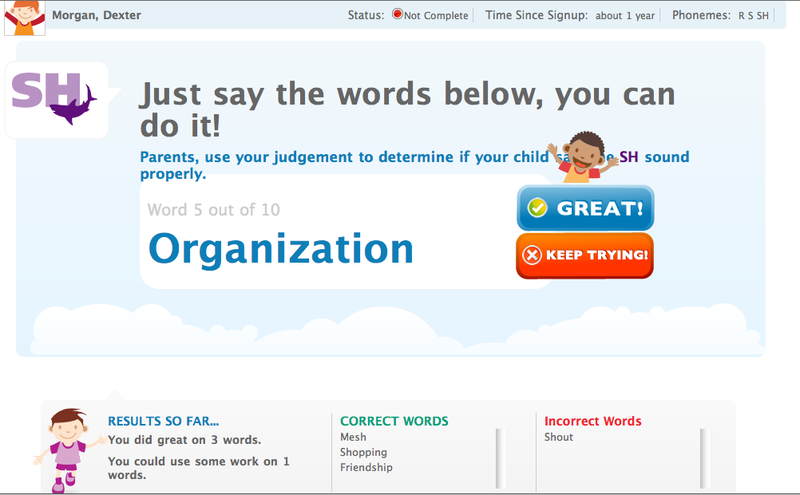 I was also impressed (naturally) with the simple and friendly online exercises at the Speech Buddies website that complement the product. The website allowed the SLP-A and parent, as it is geared toward home practice as well, to track productions and progress. So often our home programs can yield vague results, and the web interface (as well as eliminating the need for the parent to focus on tongue placement, as the device handles that) is very promising! You can register to view and try out the interactive portions of the Speech Buddies Website for FREE. In a phone interview with Alexey Salamini (Rogers’ engineer friend, now CEO of Speech Buddies) I found out that the website is being updated to make it even more useful with additional exercise types, enhanced interface between SLP’s and clients, as well as more and improved ways to track a user’s progress. Additionally, I discussed with Salamini the issue that must be on all school-based clinicians minds: can we reuse a Speech Buddy device with multiple students? The answer to that is while they are designed for use with a single student, the devices are currently being used/reused in schools. They may be cleaned in between sessions with a recommended mixture of mild soap and water or by dipping quickly in 70% isopropyl alcohol. Salamini also reported, "A good number of school districts have purchased the product on a smaller scale and are planning to buy more, and many are purchasing one dedicated speech buddy per child.” My conversation with Salamani addressed my concerns about logistics; my chief concern as a school-based clinician had stemmed from dedicated sets being the only option. If districts and clinicians do have the choice to adopt these tools as they see fit (as Salamani confirms is happening), this will help school-based SLPs who are interested in pursuing this technology to open the conversation with administrators. Articulate Technologies is also definitely crossing their Ts with this product. Not only is Speech Buddies FDA-listed, but it has also been the subject of a controlled, randomized, single-blind study (named INTACT- Intra Oral Tactile Biofeedback) with promising preliminary results about rate of treatment progress using Speech Buddies vs. traditional techniques. You can see their research page here. Overall, I’d like to say that Speech Buddies are a development that all clinicians who work with articulation should know about and judge for themselves! For me, the potential to reduce treatment time is exciting not only for the students with articulation disorders, but also for those on our caseloads who will benefit from our being able to reallocate that time. 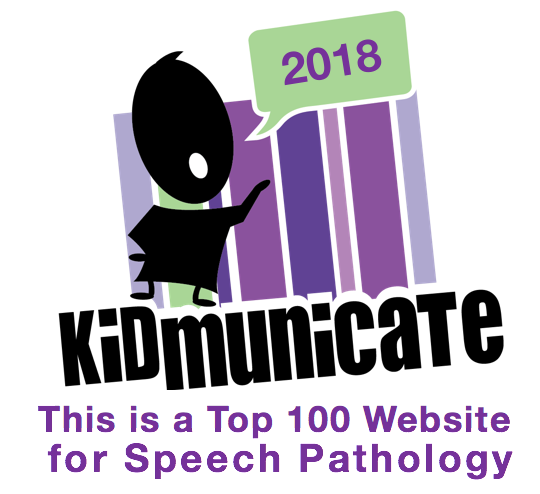 For more information and perspectives on Speech Buddies, check out The PediaStaff Blog and Rogers' post on Mommy Speech Therapy. Disclosure: author received a set of Speech Buddies to facilitate this review and is an employee of The Ely Center, which has a partnership with Articulate Technologies. cool! but how exactly did peanut butter and straws are used for speech articulation before? haha! this innovation will be very helpful! I heard about it before and I think it's a great help. I find it effective in some ways. Good thing you shared that review.